One of the fastest education paths to becoming a registered nurse (RN) is an associate’s degree in nursing (ADN). Associate’s degree options vary by school and may include an associate of science (AS), an associate of art (AA), and/or an associate of applied science (AAS) track. These programs typically take 2-3 years to complete, and all prepare graduates to sit for the National Council Licensure Examination for Registered Nurses (NCLEX-RN). ADN programs require 70-80 credit hours of study to graduate, and many offer evening and weekend schedules to accommodate working professionals. Nursing students typically use the AA and AS programs to prepare for subsequent entry into a bachelor of science in nursing (BSN) degree program. AAS students often seek employment immediately after completing the program and obtaining a registered nursing license. Another education path for aspiring nurses is the licensed vocational nursing (LVN) program. While most LVN tracks are 12- to 18-month certificate programs, a handful of Texas colleges also offer a two-year associate’s degree in vocational nursing. Aspiring LVNs on all tracks are qualified to take the National Council Licensure Examination for Practical Nursing (NCLEX-PN) upon completion of their studies. 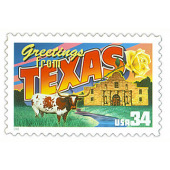 Newly licensed Texas RNs and LVNs can expect an excellent job outlook and competitive salaries. Employment growth nationwide for the 2012-2022 decade is projected at 19% for RNs and 25% for LVNs. Texas-based registered nurses earn a median salary of $67,310 per year, and licensed vocational nurses average $42,930 in annual compensation. To aid your search for the best associate’s degree programs in Texas, we’ve compiled below a comprehensive list of accredited ADN offerings and organized them by major metropolitan area.